New report confirms several clubs are now eyeing bargain deal for NUFC player – NUFC blog – Newcastle United blog – NUFC Fixtures, News and Forum. According to the Chronicle, Mo Diame is attracting interest from both Spain and Italy – with clubs now aware that they’ll be able to sign him on a free this summer if he fails to land a new contract at Newcastle. The report also states that several sides in the Turkish Super Lig have also been ‘alerted’ by his potential availability this summer, with him set to be available for nothing in a few months time if he doesn’t start at least THREE or our final 8 games that remain this season. Should he do so, there’s said to be a clause in place that will then automatically see a one-year extension activated – however it sounds like Mo is after a two-year deal instead. ‘Mo Diame has been left with a big decision to make between now and the end of the season. 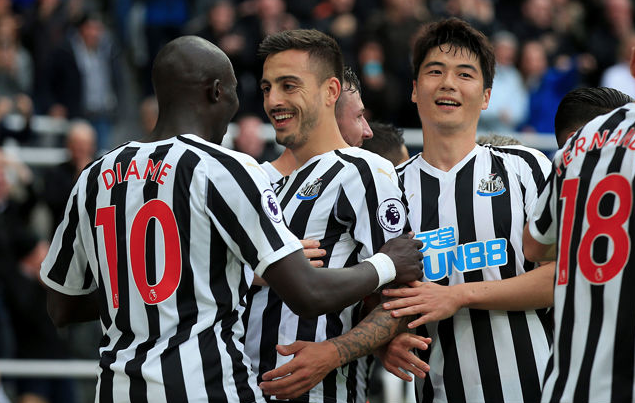 ‘The midfielder’s contract at United is due to expire in June, but if the former Senegal star makes three more starts for Newcastle he will automatically trigger a one-year extension – something he doesn’t necessarily want. ‘Indeed, the Chronicle understands that Diame has asked for a two-year extension to guarantee financial security as he enters the closing stages of his top level career. ‘But Newcastle are not eager to agree to the extension for two more seasons. ‘However, news of Diame’s contract conundrum has reached clubs around Europe with interest from Spain, Italy and Turkey. One thing that occurred to me when reading all this – surely it would be in the club’s best interests to at least get him to play three more games so that if he did leave this summer, we’d get a fee for him? That said, leaving on a free always means the player is able to demand a more lucrative contract elsewhere. Diame has said he wants to stay, I’m quite confident Rafa will be keen to keep him and I myself would like to see him stick around, believing his performances over the last 18 months have definitely warranted a new deal. The questions that remain; 1) Will he even start three more games? 2) Will the club go the extra mile and offer him a two-year deal? 3) If he doesn’t get the two-year deal he wants, will he settle for a one-year stay or pursue a move elsewhere? Time will tell, but I hope he’s still on Tyneside next season – even if his future isn’t nearly as crucial as Rafa’s and Rondon’s.